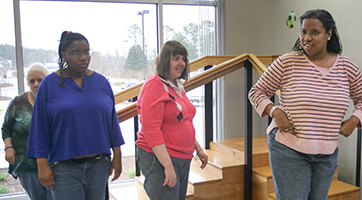 Ability Plus Day Services Program provides a variety of services for individuals who have intellectual disabilities, as well as other neurodevelopmental conditions such as autism spectrum disorders, sensory processing disorders, and mental health diagnoses. We also provide Day Habilitation, Job Coaching, and Supported Employment are current services funded through the Medicaid ID Waiver. Day Habilitation is provided in a classroom setting and incorporates an assortment of activities. 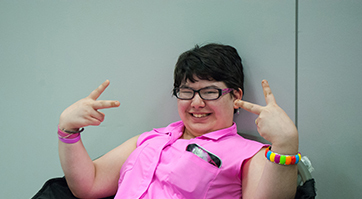 Learning opportunity programs promote independence and adaptive life skills. Enrichment activities are based on personal preferences, such as arts and crafts, reading circles, puzzles and beadwork, computer and iPad activities, volunteer opportunities, and community outings. The program offers a computer lab, library, fitness room, music room, and pre-vocational skills area. Attendees are offered regular opportunities to participate in community outings such as trips to local parks, museums, the bowling alley, library, YMCA, shopping excursions, and events including parades, Special Olympics competitions, and Kite Day. Supported Employment provides job-training and supervision for individuals for whom unsupervised work in the community is unlikely or not currently an option. The Ability Plus Cleaning Crew is a small enclave of individuals who perform custodian job duties. Each individual is paid minimum wage and may work one or more days a week. Job Coaching provides on-the-job training for individuals who work in the community. Certified Job Coaches train individuals to perform specific tasks consistent with their abilities, and work with employers to modify or adapt job duties as necessary. Each individual is assessed for skills, matched with an appropriate job relative to abilities and preferences, and supported at the worksite in order to ensure long-term employment success.